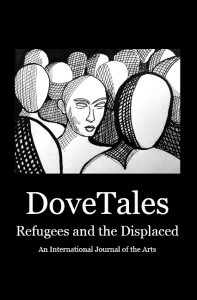 DoveTales, An International Journal of the Arts, “Family and Cultural Identity” edition features poetry, essays, and short stories from our 2016 Young Contest Winners, our advisers, established, and emerging writers, as well as strikingly beautiful art and photography. Sam Hamill was born in 1943 and grew up on a Utah farm. He is Founding Editor of Copper Canyon Press and served as Editor there for thirty-two years. He taught in artist-in-residency programs in schools and prisons and worked with Domestic Violence programs. He was the founding editor of Copper Canyon Press, directed the Port Townsend Writers Conference for nine years, and in 2003, founded Poets Against the War. He is the author of more than forty books, including celebrated translations from ancient Chinese, Japanese, Greek and Latin. Learn more about our contributors here.